Gershwin thought it was all about An American in Paris. Wrong George. Wrong. It’s all about a fabulous bunch of Americans in Florence and of course, our very own, Royal portrait painter Fiona Graham-Mackay. Fiona Graham-MacKay in the Café Rivoire in the Piazza Della Signoria explains about halitosis and reflects on her time at the Royal Art Academy in London over on Stirring Trouble this weekend. Fiona is a new writer and her art knowledge is excellent. Fiona writes in a Parisian style which is quite exquisite. Bit like a fine wine if you like wine that is most people do I just like good writing and this article is fabulous. 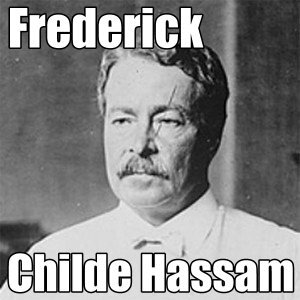 In this article you will be blown away with her recommendations of artists and their art and the locations of artists like Frederick Childe Hassam and Gertrude Stein. Let Fiona whisk you away with the musings from the various continents of Europe, look out for the bit about the art work at the American in Florence Exhibition and read closely to find out if you don’t already know who Frederick Childe Hassam is. It’s a coffee type conversation which ignites curiosity for the finer things in life. If you like art then you will really enjoy this article. Enjoy.